Onions are one of the easier vegetables to grow in your urban backyard garden (or patio containers). They are also one of the first (and only) vegetables you can plant outside in January/February and not worry about the cold temps. Now is the time to purchase and plant onion transplants in our local garden nursery stores. We bought one package of white, and one package of red (fyi, they are readily in stock at Redenta’s, North Haven Gardens, Ruibal’s). One bunch was plenty to spread amongst several homes and friends. 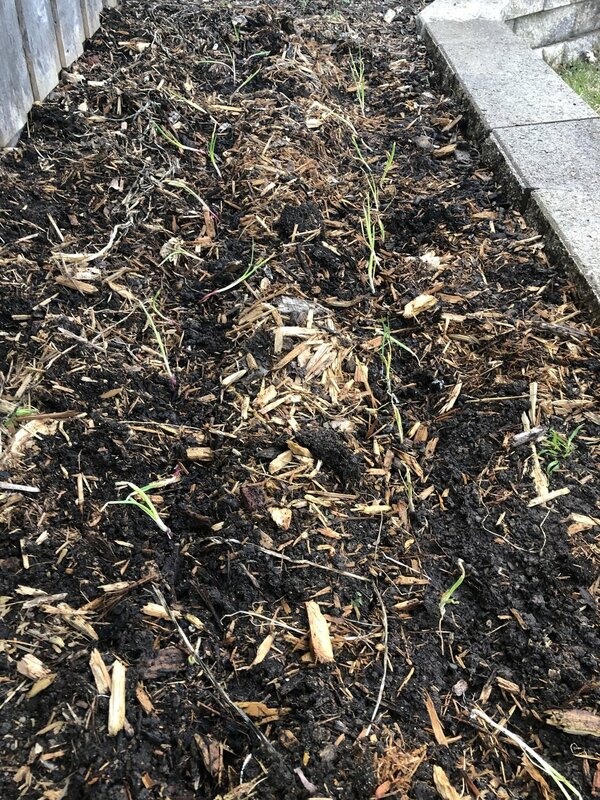 Find a sunny spot (they need at least 6 hours of sun/day) and loosen the soil where onions will be planted (use a trowel or spoon to break up any compact spots; if soil is hard and dry, moisten it). Plant each onion base (the part with roots) in the soil approximately four inches apart from each other. Don’t plant more than one inch deep. Water the soil deeply around all of the onions you’ve just planted. Keep them watered every week in the spring until they get growing. But do NOT overwater! You should have mature onions somewhere between May and July. Here’s a helpful tip sheet from Texas A&M on planting and growing onions.